New Kitpack for Pro Evolution Soccer 6. 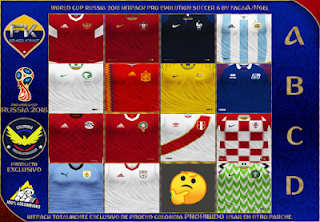 It includes new kits from all 32 National Teams World Cup 2018 Russia Qualifiers. All credit goes to FacaA/Ngel Kitmaker for providing this kitpack.